The arts are part of a balanced education, providing America’s learners with essential skills and knowledge they need to be productive, college and career ready citizens. A “core academic subject of learning,” the arts are supported by a rigorous set of voluntary national standards and assessment frameworks designed to improve and support arts learning. In addition, forty-­‐nine states support sequential arts learning in their public schools with state-­adopted arts standards. The American public values a quality arts education in our schools. When America’s public schools invest in certified arts educators, students gain the opportunity for a sequential, standards-­based education in the arts. 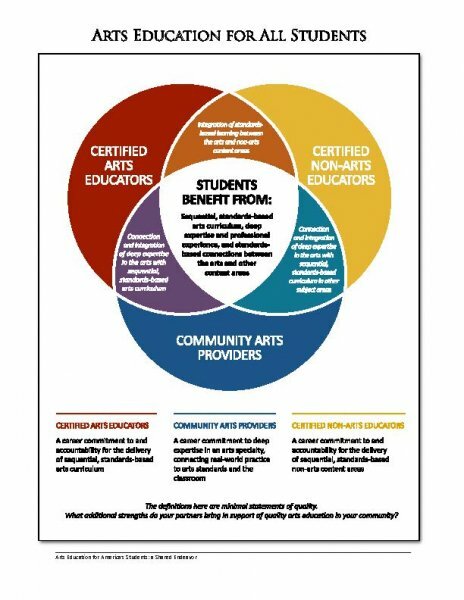 Certified non-­‐arts educators in schools expand students’ opportunities for arts learning by providing curricular connections among the arts and other subjects. Furthermore, students gain deeper, additional standards-­based arts learning experiences through America’s cultural organizations, community arts organizations, and teaching artists. It is the convergence of the contributions of all partners and opportunities that provides a quality arts education for our students. Despite the rich body of data demonstrating how students benefit from quality arts education, many American children lack access to it in their schools. According to the National Center for Education Statistics, students in high-­poverty schools are more than twice as likely to have no access to the arts.  We believe that the inequity of access to quality arts education must be addressed. Too often, arts education is squeezed out of America’s public schools. Advance policies and resources that ensure access to arts education for all students—delivered by certified arts educators—that develop artistic literacy through a sequential, standards-­‐based arts education. Ensure that all students have access to in-­‐school and community arts learning opportunities that add value to a standards-­‐based PK-­‐12 education in America’s public schools. Encourage certified arts educators, community arts providers and certified non-­‐arts educators to provide quality arts education for their students by collaborating together in support of improved instructional and classroom practices. Foster proactive, long-­‐term advocacy collaborations among certified arts educators, community arts providers, and certified non-­‐arts educators that engage parents, school leaders, and other key stakeholders to support student access to high-­‐quality arts education throughout the school and community. We would like to recognize and thank the following organizations that attended the May 6th, 2013 National Arts Accord Summit and worked in collaboration to create and disseminate this Statement. The following are the partnering national organizations: American Alliance for Theatre and Education, Americans for the Arts, Educational Theatre Association, League of American Orchestras, National Art Education Association, National Assembly of State Arts Agencies, National Dance Education Organization, National Education Association, National Association for Music Education, The John F. Kennedy Center for the Performing Arts, National Guild for Community Arts Education, and Young Audiences Arts for Learning.